“My kingdom,” said Jesus, “doesn’t consist of what you see around you. Beginning next Sabbath, April 6, the spring quarter sermon series at the University Church is entitled “Feelings and Faith: Exploring God’s Emotions, Understanding Ourselves”. Each week, preachers will delve into Bible stories that illustrate aspects of God that resemble human experience. 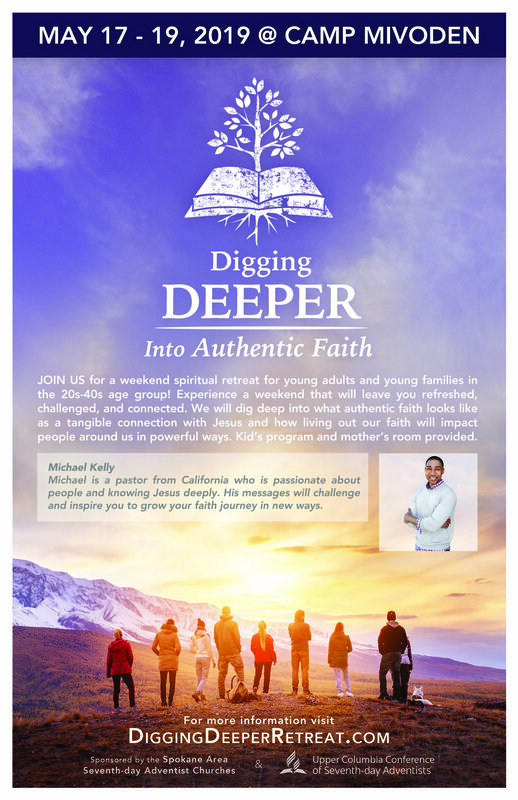 In addition to Sabbath worship services, the pastors also invite you to deeper reflection during the week through this sermon series. Check the bulletin every Sabbath for lists of suggested books, film, music, and other resources provided by the wider church community, that will accompany you in weekly study. No one will have time or space to absorb all the recommendations, you are encouraged to pick and choose the ones that resonate best for your walk. Today, the pastors suggest three books to consider at the beginning of the new series: Marc Schelske’s “The Wisdom of Your Heart: Discovering the God-Given Purpose and Power of Your Emotions” provides a passionate overview of the place feelings have in Christian spirituality. Instead of warning people to be afraid of their emotions, Schelske invites the reader to take careful stock of our inner world and use those discoveries to discern the Holy Spirit. A second suggestion is David Benner’s “Spirituality and the Awakening Self: The Sacred Journey of Transformation”. This book (which is more academic than devotional in tone) paints a philosophical backdrop for how Christian spirituality and modern psychology intertwine. Benner’s work is not the last word on this ever-surfacing theme in theological circles, but it certainly provides compelling material in the ongoing conversation. This is a classic book on the subject, well-respected almost universally by pastors and church leaders. It has spawned a wide array of church resources, evaluations and seminars to build positive spiritual culture. A final suggestion is from Harvard Medical School faculty psychologist Susan David. “Emotional Agility: Get Unstuck, Embrace Change, and Thrive in Work and Life” is a practical guide for navigating our emotional lives. In it, David provides a research-based roadmap for changing destructive and unpleasant behavior. Living and teaching in this small valley provides the great joy of watching young people grow, blossom, and mature into accomplished, self-possessed musicians. Living here a very long time provides opportunity to watch their children do the same thing (! ), and that is what we get to see and hear today. Please join me in welcoming Hannah Schafer, violinist and daughter of Sharon Schafer who completed an undergraduate minor in organ a number of years ago. We also welcome her brother Samuel who plays viola in the offertory. Thank you, congregation, for welcoming these young people and for encouraging all of our young musicians as they strive to develop their God-given talents and use them to glorify their maker. We hear two works by the great romantic composer César Franck (1822-1890) who is a little hard to classify. He was born in a part of Belgium that at the time was part of the Netherlands, to a Belgian mother and a German father; then he moved to Paris, France, where he received his education and worked his entire adult career. The offertory presents one of Franck’s best-known single works, and in the prelude we hear the first movement of his celebrated Sonata for Violin. We hear part of another great violin sonata in the postlude – the first movement of Sonata in B-flat Major, K.378 by Wolfgang Amadeus Mozart (1756-1791). Thank you for your generosity to the ministry of the University Church. Your gifts to the University Church budget make this world-changing work possible! A haystack dinner is being prepared today for visitors and those who do not have someone to share dinner with today. Please join us in the Junior High Sabbath School room (in the Children's Wing on the north side of the facility) following Second Service for food, fellowship and good conversation.